Dark Chocolate is touted as the “healthier” chocolate, which makes a lot of people turn to it in an effort to avoid gaining weight. 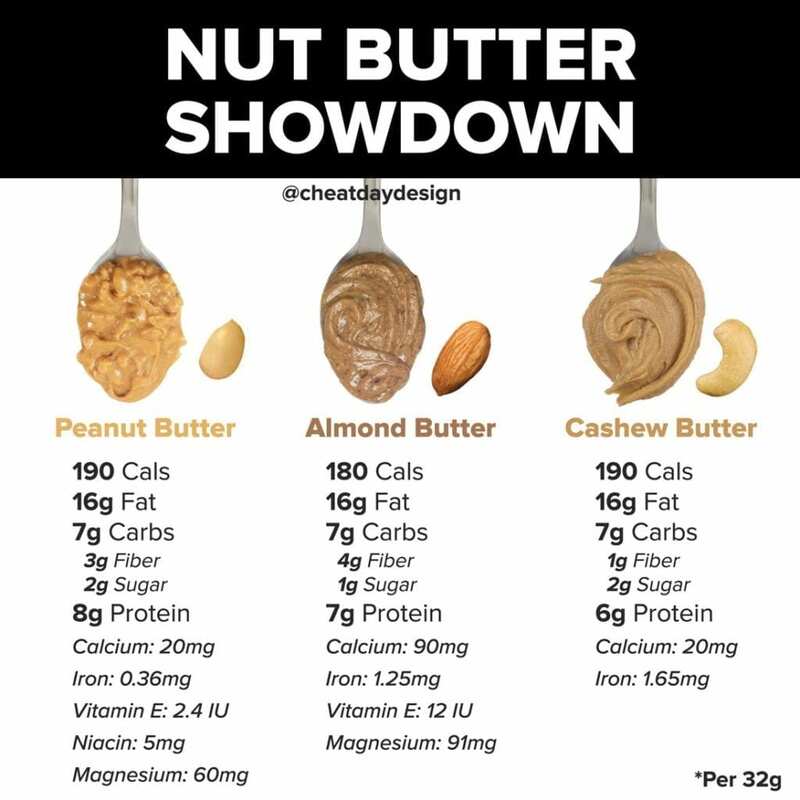 But is it actually healthier? If we look at equal portion sizes, we can see that milk chocolate actually has fewer calories. If weight loss is your ultimate goal, then keeping your calories low should be your priority. Calorie deficit = weight loss. In that case, a milk chocolate bar might be the better choice for you. Likewise, if you’re eating low fat, then a milk chocolate bar would still be a better option. Of course, we have to look at the sugar content. There’s no comparison here- milk chocolate contains way more sugar than its dark chocolate counterpart. 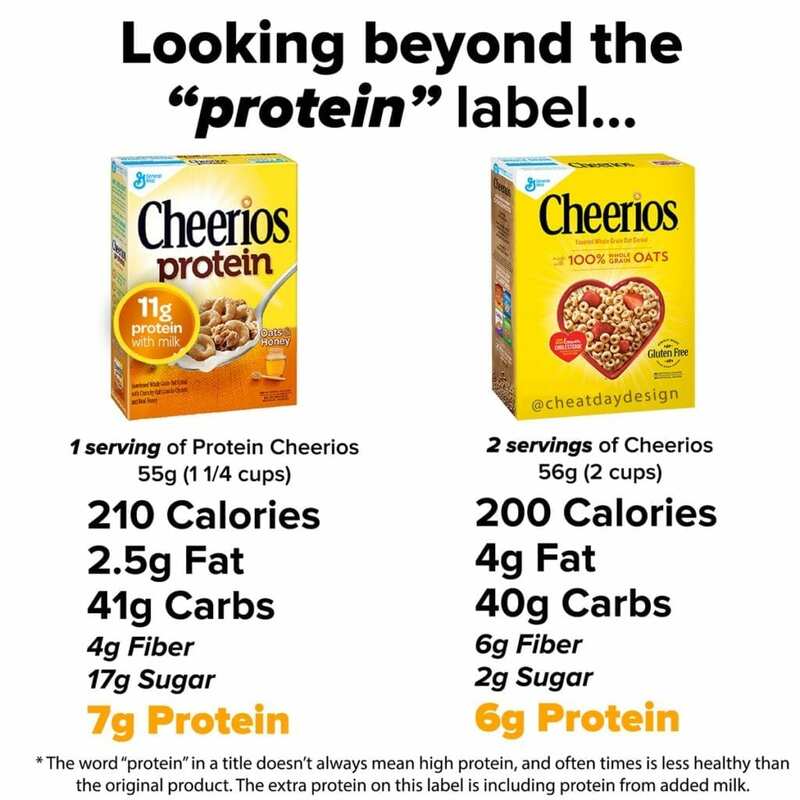 Does that make it “less healthy”? 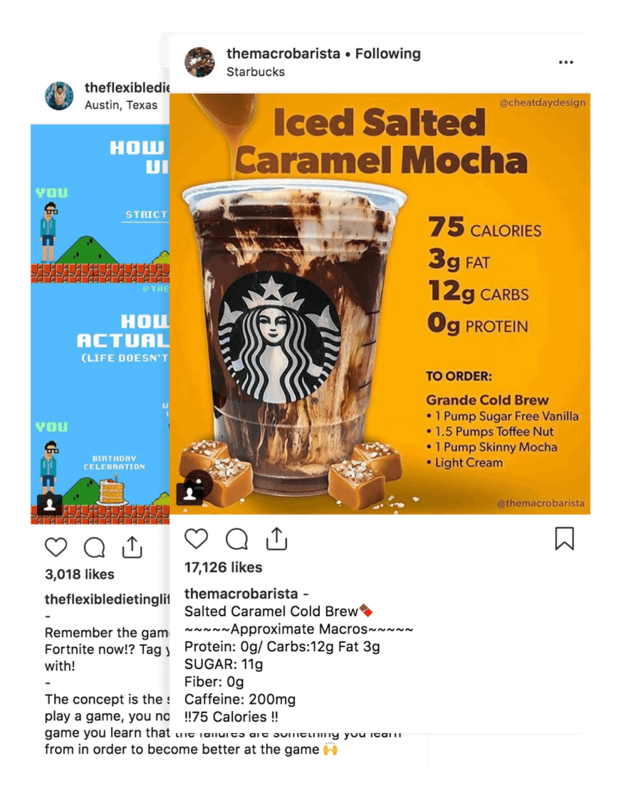 No, it just means it contains more sugar. By some people’s standards, that may mean it’s less healthy, but that’s not a universal truth. Dark chocolate also contains more fiber than milk chocolate, which can help you to feel more full (but let’s be honest, you’re not eating a chocolate bar to feel full). Plus, dark chocolate tastes bitter and terrible, so you’ll likely eat way less of it! You may have guessed it…but I don’t enjoy dark chocolate at all. So it’ll always be milk chocolate for me. 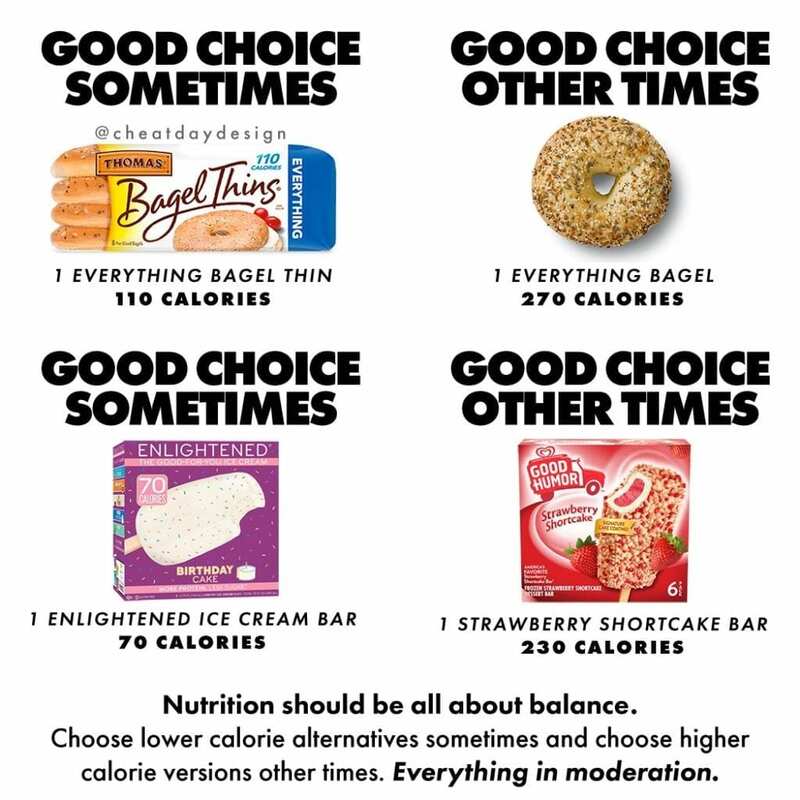 In the end, the “healthier” choice is whatever fits YOUR preferences. 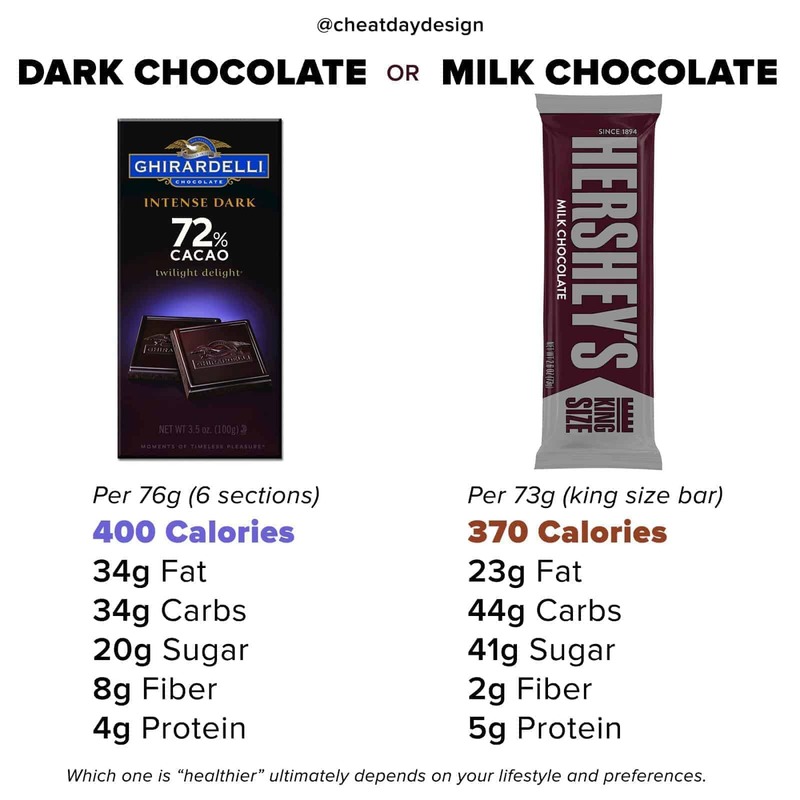 Just because you’e heard dark chocolate is healthier, is doesn’t mean it’s the right option for you. 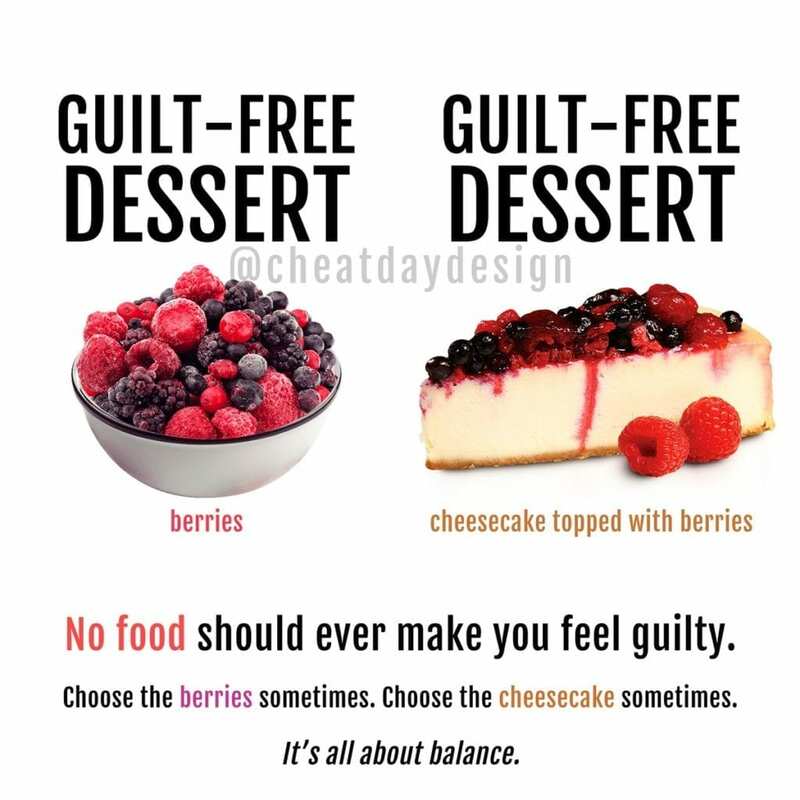 Eat based on your preferences and your goals, not someone else’s!